Hotel Casci has the perfect location for everyone who wants to visit Florence Italy. Near the Duomo, the famous cathedral you see in every postcard, a few steps away from the Accademia gallery, where the statue of David is, and around the corner from the well-known food and leather market of San Lorenzo. Choose the best way to reach us and start visiting! Take a taxi from the east-side exit of the station by track no. 16 – turn right at the gates and walk to the end of the pavement – you will see the taxi cabs lining up – the cost should be around 12 Euros. Take bus number 14-17-23 from the east-side exit of the station by track no 16 - get off at Piazza San Marco and walk down Via Camillo Cavour towards the Cathedral/Duomo for about 150 meters until you reach number 13, where we are. Don’t forget to buy your ticket before boarding the bus from any bar, tobacco shop or newsagent’s kiosk and to validate it upon boarding the bus. Walk all the way (8-10 minutes): leave the station by the east-side exit by track no. 16 - go down the escalator, take the underground passage to the left and go straight until the end. At the exit, keep going straight ahead for about 350 meters until you reach the Cathedral/Duomo (a massive white church). Turn left into Via Martelli, which becomes Via Cavour after 50 meters. Hotel Casci is at number 13 of Via Camillo Cavour. Take a taxi at the exit of the airport (cost: around 25 Euros). 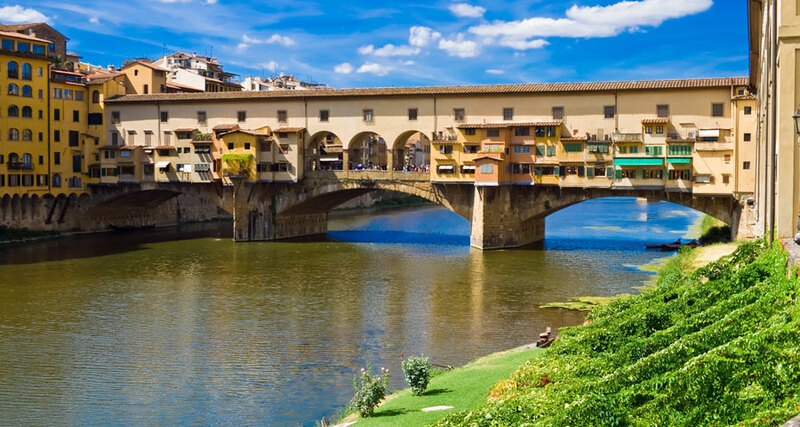 Otherwise, catch the Airport shuttle bus to Florence Central Train Station (cost 5,- Euros per person) – once at the station follow the BY TRAIN directions, as outlined above. Pisa Airport - From Pisa airport the best way is to take advantage of the direct coach connections with Florence Central Train Station (both available at the exit of Pisa airport) – once at Florence main station follow the BY TRAIN directions, as outlined above. In spite of its central location, Hotel Casci is very easy to reach by car, too – kindly look at the driving maps provided, which show the exact itinerary from the different entry points to the city. The entrance by car to the centre of Florence is strictly regulated, in order to limit the masses of crazy drivers who would otherwise overload the city - the whole city centre is now a pedestrian area and therefore a car is only needed to explore the country-side or drive to other towns. Tourists of course are welcome and allowed to enter by car the limited traffic zone (ZTL), but only to and from their hotel - therefore follow carefully the itinerary outlined in the map, in order to avoid some 'no entry' points and incurr in any fines, and register their car with the hotel staff (see below). As a general rule, from any entry point to Florence keep following the signs 'Centro' or 'Viali Circonvallazione' until reaching 'Piazza della Libertà' (a big square surrounded by arcades with two gates in the middle - everyone will be able to point it out). Coming from west (Milano, Venice, Pisa, Siena), just turn right into Via Camillo Cavour, - coming from east (Rome, Chianti) you have to go around the whole square before being able to turn into Via Camillo Cavour. Once in Via Camillo Cavour, just drive about 700 meters down the street: should any traffic warden stop you, just make it clear that you are a tourists going to your hotel and he/she will let you through. ALL cars entering the center of Florence (ZTL) have to be registered – therefore, please make sure to notify your car number-plate to the reception staff upon arrival and every time you use the car during your stay – we shall ask you anyhow. Often clients strictly following GPS and Internet directions end up totally lost, as such directions often ignore one-way streets and limited traffic areas – the itinerary outlined above is the easiest and safest one – however, if you feel more confident with electronic directions, we suggest to have as final destination ‘Piazza della Libertà’ and then turn into Via Camillo Cavour. Pay attention to avoid the four 'no entry' points marked on the maps, as going through them will definitely lead to a fine. Upon your arrival, try to park as close to the pavement as possible and leave the car with the double flashing lights on whilst offloading your luggage: we shall then instruct you on where to park. As we are so centrally located, we have negotiated some parking places in a private garage just behind our building, at the cost of about 25 euro per night including valet service. A municipal parking garage is also available about 1 km away at the cost of 10/15 Euros each 24 hrs. Want to go beyond the obvious attractions in Florence?